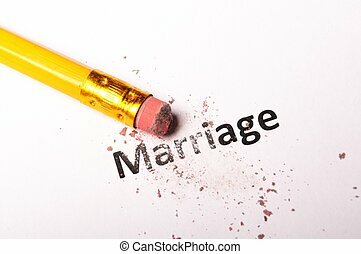 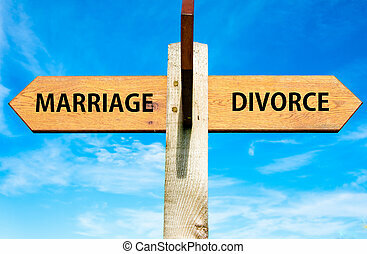 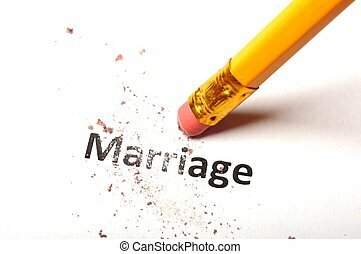 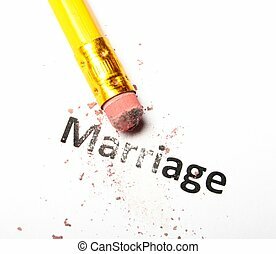 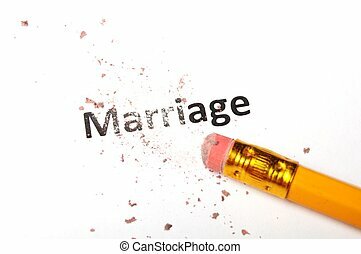 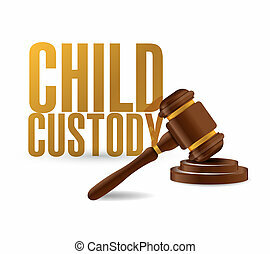 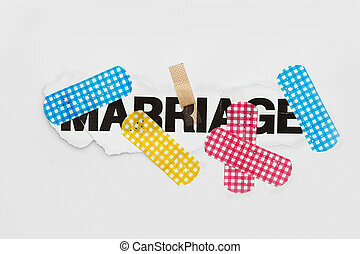 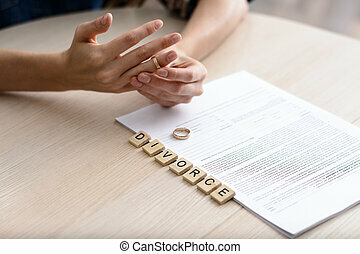 Divorce concept with split word. 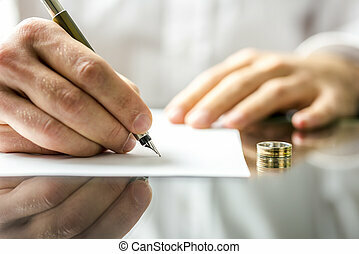 Closeup of a man signing divorce papers. 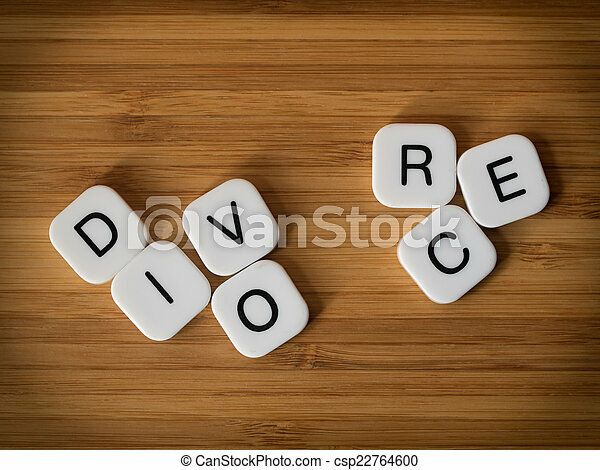 Sneakers from above. 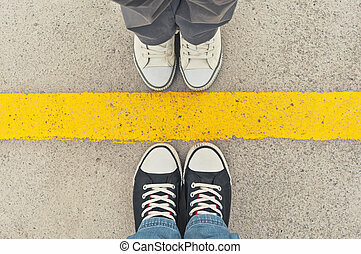 Male and female feet in sneakers from above, standing at dividing line. 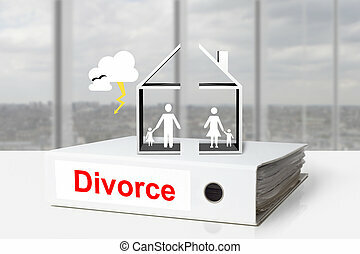 Concept Of Divorce. 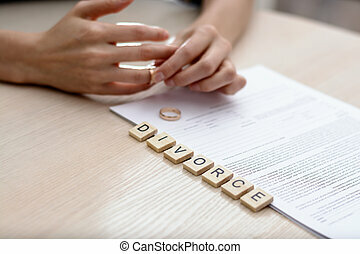 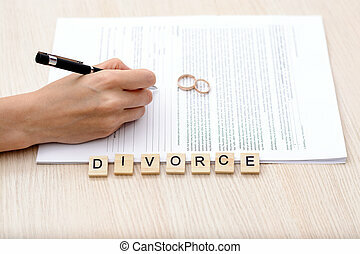 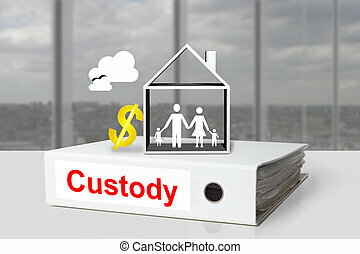 Word - Divorce with rings in the foreground, a young woman in a plaid shirt signed divorce settlement in the background.